Home / Kitchens / What’s Your Kitchen Style? by Breanna Duvall - Wellborn Cabinet, Inc.updated on July 21, 2017 February 6, 2015 1 Comment on What’s Your Kitchen Style? With so many styles of kitchens and cabinets, it can sometimes be hard to decide on a favorite. You may see kitchens in each style and agree that they are all beautiful; however, which is the style that you would choose for your own home? Aside from the look of each style, many aspects must be considered such as “does this look fit in my home?” and “is this going to get old fast?” With many considerations to sort through, it can sometimes become more of a hassle than a fun improvement on your home. Defined below are different kitchen styles to help you decide on what suits your home while fitting your personal style. Transitional styling pulls together the warmth of traditional with the crispness of contemporary making for a good median. This allows you to choose a simple door style, often a shaker, and pair it with a beautiful stained wood. 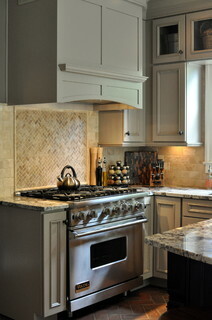 Neutral paints are also very popular among transitional cabinetry. Wellborn Cabinet, Inc. offers two shaker door styles in the Estate Collection, Bristol and Hanover, which are both wonderful choices for transitional kitchens. With ornamental pieces at a minimum, emphasis is placed on the modest details that do exist. Maybe you like some characteristics of the traditional styling but enjoy the simplicity of contemporary. 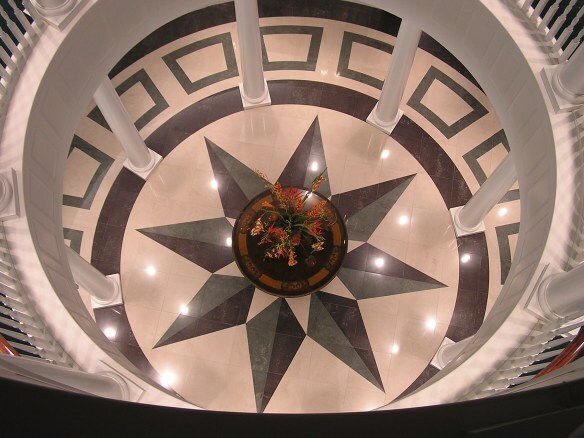 Transitional style encompasses the best of both worlds and fits the style of many homes because of its versatile traits. The simplistic cabinet doors and mix of design details blend to create a balanced transitional kitchen. 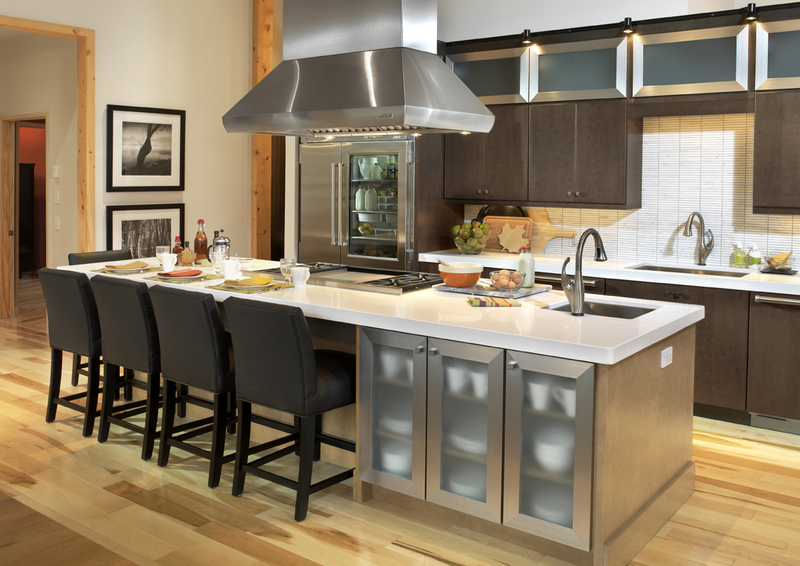 Accessories such as the stainless light and candelabra add contemporary and traditional details to the kitchen. Contemporary kitchens, very simple spaces, are characterized by distinctive hard and sleek horizontal lines. A full overlay slab door style is typically the norm for these kitchens. Wellborn’s Milan door style is the perfect slab selection for a contemporary kitchen. The small amount of ornamentation that does exist is natural and usually comes in some form of texture. For example, there may be horizontal wood grains to match up with the horizontal line scheme. Visually the wood grain gives off a textured appearance. The mixture of textures and bold blocks of color are subdued by the clean design. Horizontal lines are still obvious; however, the overall design is a calm contemporary. 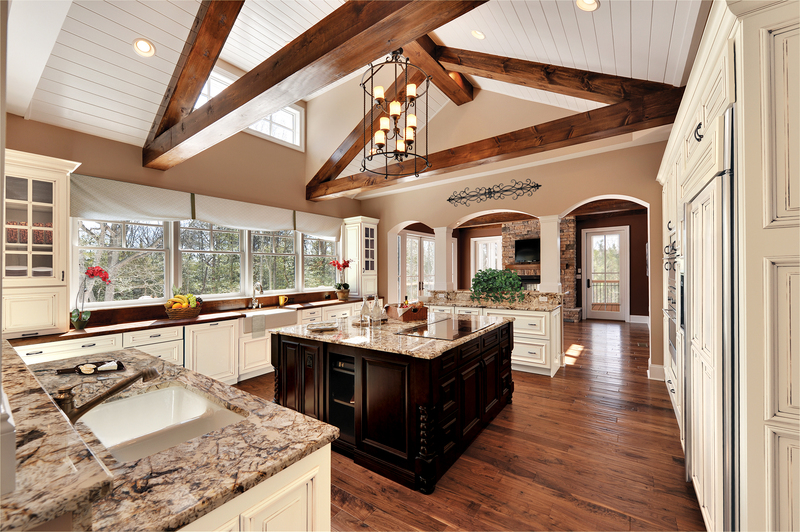 Traditional styled kitchens are distinguished by their detail. Detail is found everywhere, unlike transitional kitchens, traditional kitchens contain embellishments, corbels and moldings on every piece of furniture. 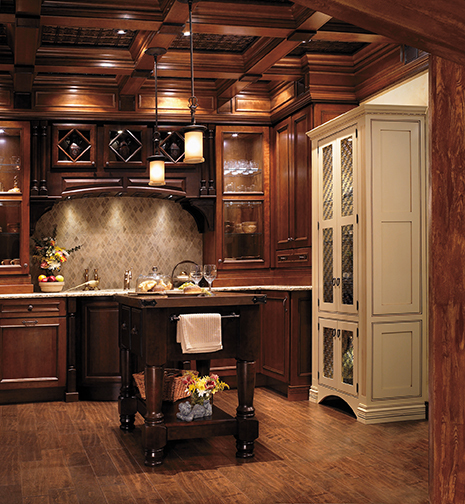 In terms of cabinetry, raised panels with applied moulding are common for traditional kitchens. Outlining these raised panels are inset or framed cabinet construction, adding a hint of detail to the cabinet doors. A fun thing about traditional is that you can mix door styles. You have the freedom to choose a couple of styles and mix them between perimeter cabinets and your island. Techniques are a small detail that, when applied to every cabinet door, give off a striking effect. This is an attribute that can really define your own personal style. Hutch and furniture style cabinets are another unique feature of traditional kitchens. The architectural and top to bottom details are crucial to the design of this kitchen. From the beams and archways to the mullion cabinet doors and island legs, this kitchen portrays every aspect of traditional. Formal kitchens often display sophisticated, yet stunning, details in which beauty is key. Although the detail may be small, it does not go without notice and forms a timeless environment of high societal living. A vast range of cabinetry door styles can be seen in formal kitchens because the style is distinguished by the architectural elements such as coffered ceilings, columns and moulding details. Glass cabinet doors can be found in formal kitchens to add to the elegance of the environment. The arrangement of over-the-top elements and accessories is essential to creating a formal kitchen. Formal kitchens often display a room with all of the bells and whistles. The details such as the island legs, decorative glass doors, and coffered ceiling make this kitchen a formal masterpiece. 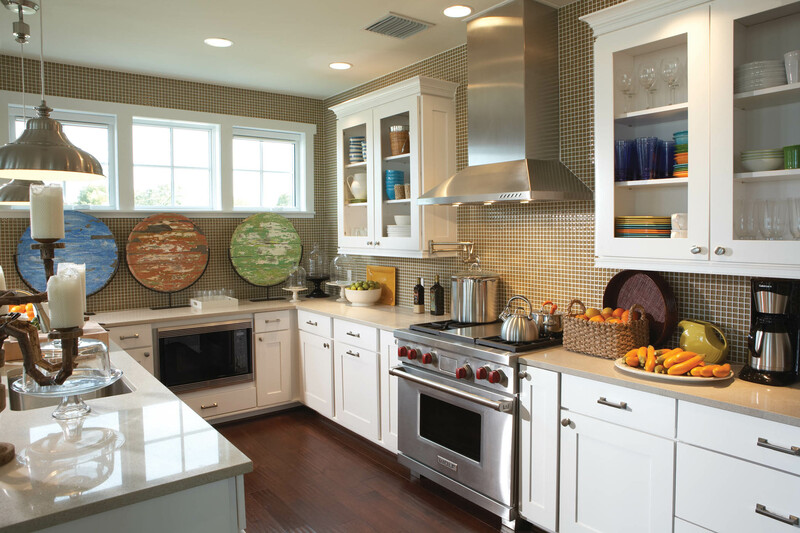 Casual kitchens maintain a comfortable feel and fit in with the home. They have the ability to be personalized and beautiful while practical at the same time. Casual is a style that can take on many looks. For instance, there can be coastal casual, country casual and eclectic casual. Coastal casual is a look that is often found depending on the location. Beach houses often have the coastal casual style that encompasses a light and airy environment with pops of color through pastels. The atmosphere is also set through driftwood and white washes. 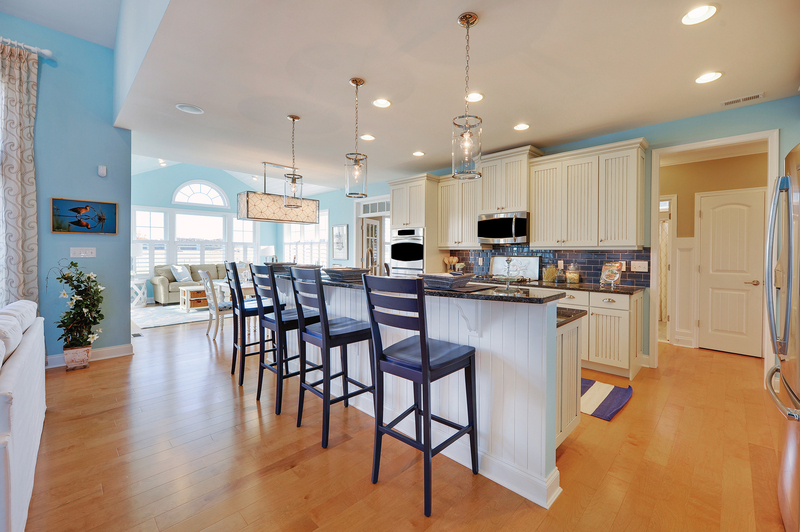 The combination of the bead board panel from the cabinets and wall paint color gives this casual kitchen a coastal feel. This casual design makes for a comfortable environment. Country casual is a style that is traditionally made up of stained cabinets detailed with ornamentations and embellishments, making for a warm, inviting environment. The embellishments are placed in a comfortable manner reflecting the natural surroundings in which the home is located. Eclectic casual is a mix of a little bit of everything that you love with taste. It captures pieces and accessories from different places and times and combines them together in one space. Old and new design elements are pulled together to create a unique, individual style. Whatever your style, define it and incorporate it in your home. Aspire Cabinetry | Wellborn Blog on What’s Your Kitchen Style?